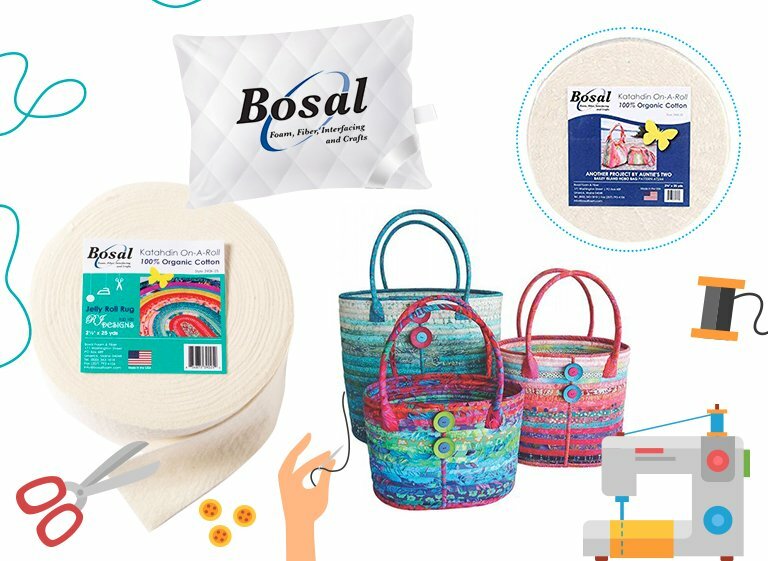 We're always looking for top-quality products to offer at the best price, here at Casa Cenina, and this is how we have just started a new adventure with some items that are definitely among the best sellers for all hobbies involving needle and threads: battings :-) That's how we met the US brand Bosal: a family-run company boasting more than 60 years experience in this industry and headquartered in the historical State of Maine, where they manufacture all their batting range. Their lines include different-sized battings having different "loft", in order to quilt Summer, Autumn and Winter projects. They are made of 100% American cotton, or in mixed cotton and modern polyester (80/20) or in pure wool and they are available in fusible versions, besides the traditional ones, all both in white and in black.